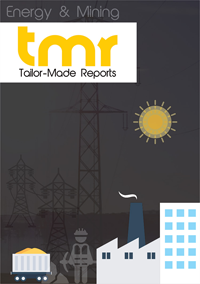 The global polycrystalline diamond compact (PDC) drill bits market is envisaged to achieve growth as oil and gas activities see a rise across the world. Over a span of recent years, there has been a drastic change observed in PDC bit technology. This could be due to improved knowledge about how drilling vibrations impact productivity. In fact, in the first place, drilling vibrations have been researched in great detail so that manufacturers could make necessary changes in their PDC drill bit design to increase productivity. This could also help manufacturers to design bits that resist high impact forces causing damage to the structure during the cutting procedure. There are certain factors considered before designing and using PDC drill bits – operating conditions and practices, bit classification, bit economics, bit hydraulics, PDC bit configurations, PDC bit profile, and PDC bit design principles. Proper understanding of these factors could help manufacturers as well as end users to make the best use of PDC drill bits. Two types of PDC drill bits are expected to showcase their prominence in the global market. However, one of them could slightly gain larger demand in the near term. Matrix body PDC drill bits are foreseen to step ahead of steel body PDC drill bits in terms of market share. End users could be chiefly attracted to different advantages that set matrix body apart from other types of PDC drill bits. For instance, end users could use matrix body PDC drill bits to drill formations ranging from medium-hard to hard. Moreover, they are said to hold out against impact loads. PDC cutters are available in various sizes in the world PDC drill bits market, i.e. above 24 mm, 15-24 mm, 9-14 mm, and below 9 mm. However, the market is predicted to witness a stronger share secured by PDC cutters sized 15-24 mm as they exhibit a higher rate of penetration (ROP). Schlumberger and Subsea 7’s intent to enter into a joint venture could be a classic example of merger and acquisition considered as a go-to strategy in the world PDC drill bits market. Announced in February 2018, the venture is expected to add to the execution, design, and front end engineering of integrated projects. This could be for increasing total production, improving customer efficiency, and reducing total cost of ownership (TCO) all through the course of the asset lifecycle. The international PDC drill bits market is prophesied to find North America taking the driver’s seat as it attains massive growth in the foreseeable future. The U.S. in particular could mainly contribute to North America with its faster-growing and larger country-wise market. Oil and gas activities and latest developments observed in the industry are projected to set the tone for significant growth in the region. These developments are not only taken notice of in the U.S. but also Canada and Mexico. The regional market is also forecasted to take advantage of the rise in shale gas production and exploration in North America. In order to accelerate the process of designing PDC drill bits, manufacturers are envisioned to use 3D modeling design tools such as computer-aided design (CAD). Furthermore, for reducing erosion in the body of PDC drill bits and optimizing hydraulics, they could use computational fluid dynamics (CFD). Use of advanced tools helps manufacturers to produce new designs in a shorter period of time. Leading players, viz. Halliburton, BHGE, and Schlumberger are making their presence known in the international PDC drill bits market.